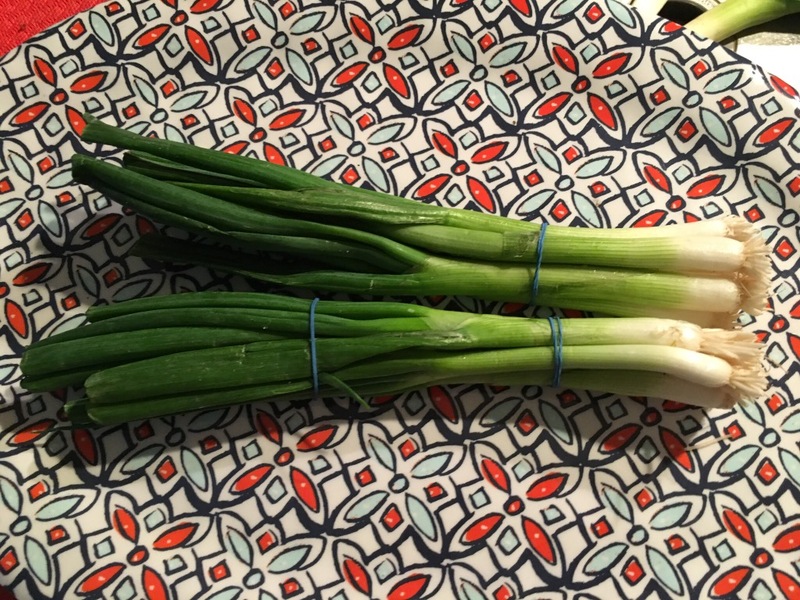 Prep ahead scallions for daily use – Hurried Home Chef! I use these almost daily, but since they spoil so quickly I will freeze them. I leave the rubber bands on and wash with the rest of the veg from that shopping trip. Then cut off the top and some of the bottom and chop however you want. I like to cut on the bias for the look of it. Then put in a plastic bag or mason jar and freeze. Put a piece of paper towel in with it to help with the water. 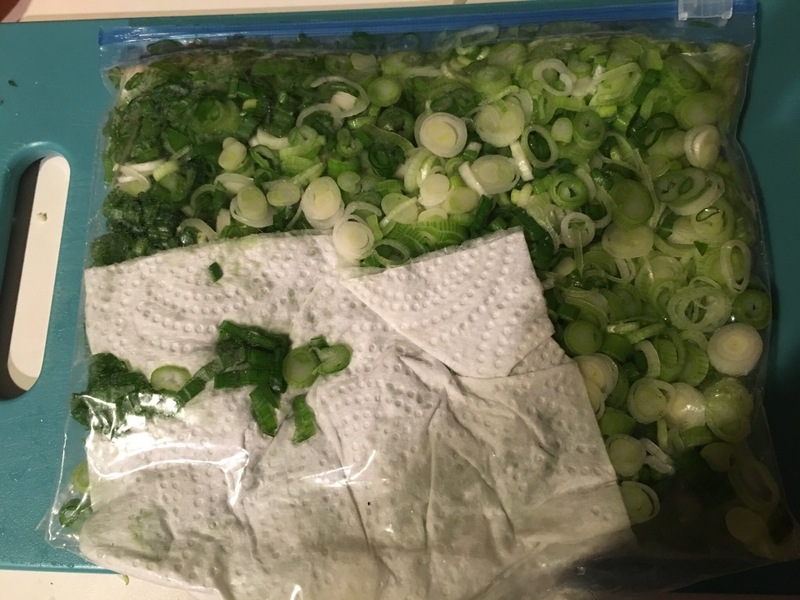 Flatten it out a bit and make it as dry as possible, place in freezer. 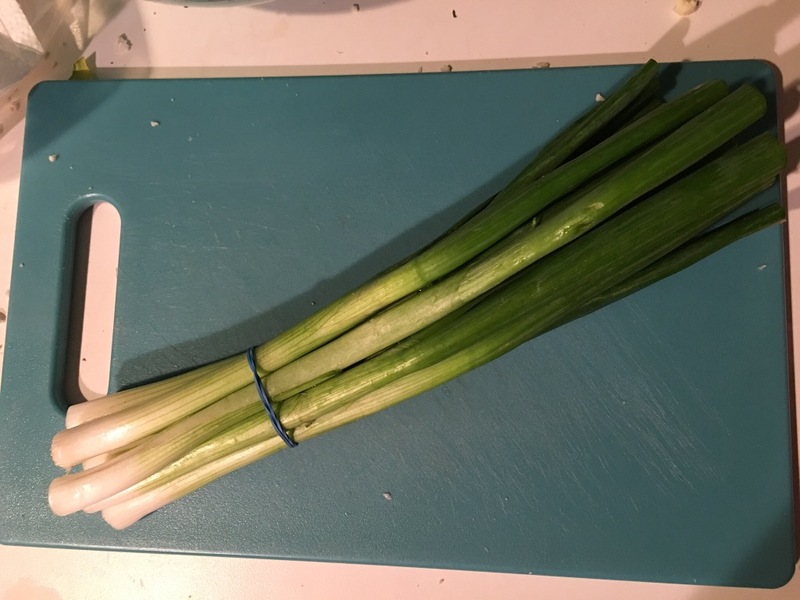 Two bunches of scallions will last me about 2 weeks.